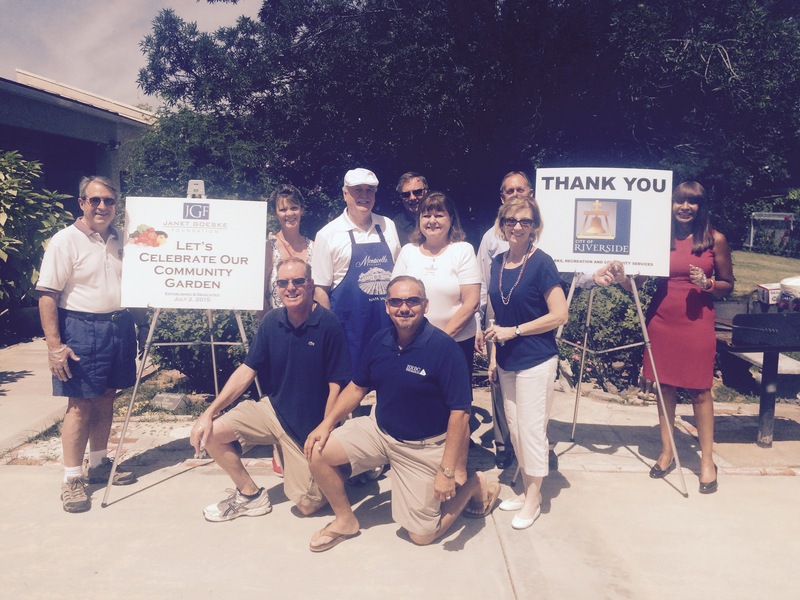 A new community garden was unveiled and dedicated on Thursday, July 2nd at the Janet Goeske Foundation’s “Independence Day BBQ” in Riverside. Over 500 attendees were present for the annual event, including Founder Janet Goeske’s granddaughter Janet Guerrero Gasman. Seniors will participate in low-impact, goal-oriented physical activity through caring for the garden. This enjoyable “exercise” can increases mobility and flexibility, improves motor skills and mood, and reduces risk for Alzheimer’s and dementia. Seniors will learn how to grow fresh fruits, vegetables, and herbs at home, whether that be a house with a large backyard or an apartment with a small patio area. This knowledge allows them to supplement their diet with highly nutritious, fresh produce and helps save money at the grocery store. Seniors will cultivate fresh fruits, vegetables, and herbs to be used in educational nutrition programs like “Great Starts at Goeske” and the new “Taste It, Try It” Series. These programs provide valuable information and teach about the importance of proper nutrition. Over 1,400 individuals and families have participated in these programs to date and the garden is a natural progression to help expand the value and scope of service. The Community Garden was constructed by the City of Riverside, Parks & Recreation Department and funding support, for new pilot garden programs at the Center, is provided in part by small grant sources. If you would like to get involved in growing our garden, please contact Estella Granillo, Activities & Senior Services Coordinator, at 951-351-8800 or egranillo@jgf4seniors.org.